Meet us at SEMICON SOUTHEAST ASIA 2017 !! Come and visit our booth at #C118, we look forward to meeting with you. We, INTERTEC CORP. with INTERTEC SALES CORP., jointly exhibit SEMICON JAPAN 2016. December 14 (Wed) ? 16 (Fri) Tokyo Big Site, Tokyo, Japan. Please come and visit out booth at 1412, East Hall 1, Sustainable Manufacturing Pavilion. We deeply express our sympathy to those who passed away by 2016 Kumamoto earthquake. And we are sorry for citizens still suffering by the earthquake. The situations surrounding Kumamoto Technical Center and our employees has been recovered gradually, we are pleased to report you that our operation is now back to normal from May 10th. We are sorry to make you worried since Kumamoto Earthquake and we are grateful for your encouragement and support provided to us. Meet us at SEMICON SOUTHEAST ASIA 2016 !! Come and visit our booth at #B118, we look forward to meeting with you. We deeply express our sympathy to those who suffering by 2016 Kumamoto earthquake. In case of our employees and its families in Kumamoto, we have confirmed all of them are safe. Our Technical Center has minor damage but is not greatly impacted by the quake. Currently we are focusing on giving priority to employee’s safety under tough circumstances as such frequent aftershocks, limited traffic access and fewer lifelines. Kindly understand all of our employees are trying to recover normal operations as soon as we can. We will update situation time to time as it recovers. If you are having difficulty to reach Kumamoto Technical center, please contact with our Tokyo or Kansai offices as below. Meet us at SEMICON JAPAN2015!! Please come and visit out booth at 1312, East Hall 1, Sustainable Manufacturing Pavilion. Parts Express search engine will be no longer available from October 1. If you have any parts inquiry, please contact us anytime. Meet us at SEMICON JAPAN2013!! 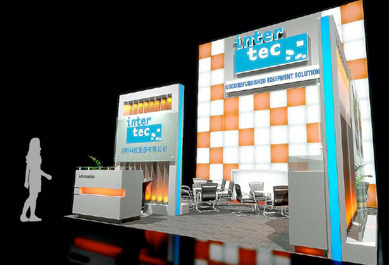 Please stop by INTERTEC booth at R1-328, Hall 1, Secondary Equipment Pavilion. 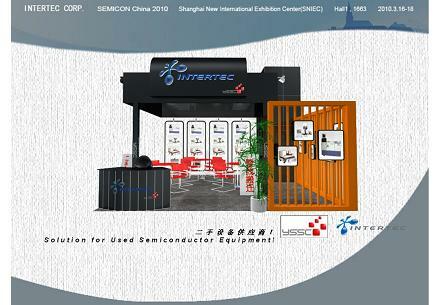 We, INTERTEC CORP. with INTERTEC TAIWAN CORPORATION, jointly exhibit SEMICON TAIWAN 2013. Come and visit our booth at #559 we look forward to meeting with you. 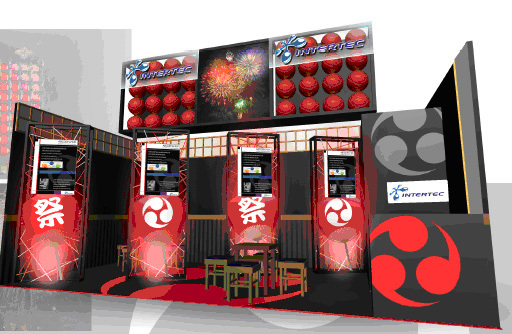 We, INTERTEC CORP. will exhibit at SEMICON JAPAN 2012. Please stop by at our booth where you can find latest used equipment availability information, engineering support, Parts Express, TransFAB, etc. SEMI is hosting FREE presentation for Hall 8 exhibitors. INTERTEC will also conduct a presentation. Please drop in the presentation stage of Hall 8 from 15:00 to 15:20 on Dec.6. Presenter: Teruo Okada, Executive Director, INTERTEC CORP.
We regret that we are under investigation by Kanagawa District Police Department about a suspect of violation of Foreign Exchange and Foreign Trade Act. We purchased approximately 500 sets of semiconductor manufacturing equipment from domestic semiconductor manufacturing company and exported in Spring of 2010 to semiconductor manufacturing factory located in China which is owned by Taiwan parent company. The reason of a suspect is that one of programs, contained in the software installed in some equipment out of 500 then exported, requires export license for “Service” separately from export license for “Equipment”. We have been given a license for “Equipment” by the Ministry of Economy, Trade and Industry. We however made a mistake to prepare necessary documents for exportation of a program contained in the software. We should have been more careful about export regulation in this instance. We have reviewed an internal compliance rule not to cause a similar problem again. This program, by the way, does not function alone for other purposes including a military weapon if removed from main body. The factory owned by Taiwan parent company is not an arsenal making weapons as broadcasted and reported by some medium. It is manufacturing semiconductors for consumer products use only and so confirmed already. If there is any progress regarding this matter. We will update it time to time. 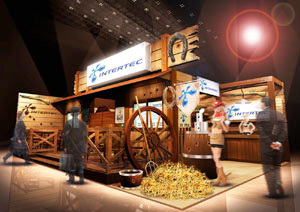 Intertec corp. decided to cancel exhibition at Semicon Japan to be held at Makuhari Messe during Dec.7 to Dec.9, 2011. This is because we are afraid of giving trouble to neighbor exhibitors by the confusion potentially caused by our visitors such as mass media. We regret we have to miss this opportunity to meet with customers. 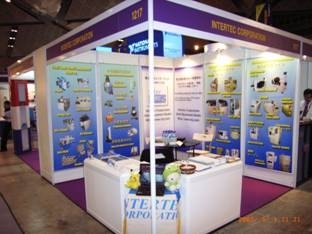 We, Intertec Corp. will exhibit at SEMICON JAPAN 2011. SEMI is hosting FREE presentation for Secondary Equipment Pavilion exhibitors. Presenter: CT Liew, Back end team leader, Intertec Corp. Title: Back end used equipment market trend : Take advantage of smart capital investment! Intertec has agreed distributorship of power generator with Korean vendors. The power generators manufactured by Hyundai Heavy Ind./ Hyosung Corp./ Bokuk Ele. have been available for Japanese market at May 18th, 2011. The power generators generally have 20% price/ performance advantage against power generators made in Japan. Contact Info. New Business Development Div. 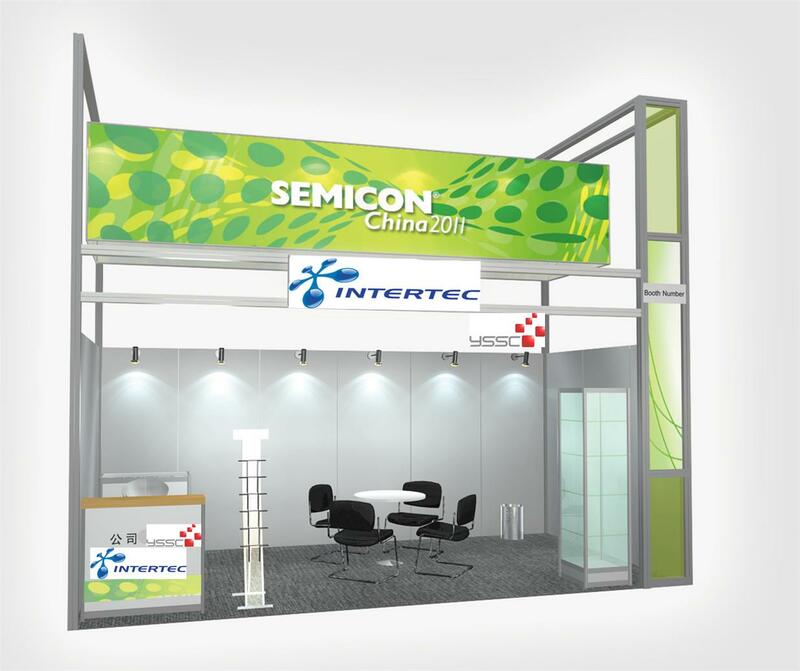 We, INTERTEC CORP. with INTERTEC SEMICONDOCTER (SHANGHAI) REFURBISH CENTER (YSSC), Jointly exhibit Semicon China 2011. We have been making effort to provide local support to Chinese customers, not only used equipment but engineering services and TransFAB(whole fab relocation). We would like to share valuable information with our customers. Come and visit our booth at W1/1559 we look forward to meeting with you. Also, SEMI will host free program focused on used equipment on Mar.16 at Kerry Hotel. Momo Yi, our Shanghai rep office general manager, take part as moderator in the morning session. Regarding details about this program please refer SEMI homepage below. Intertec Corp will participate in SEMICON Singapore this year. It is our 9th anniversary participation. Please stop by at our booth where you can find latest Back end surplus tool information! We are co-exhibiting with Waftech Sdn Bhd, a Malaysian company. If you have interest in their product please do not hesitate to inquire. Waftech Sdn Bhd & INTERTEC CORP.
Semicon China was held during Mar. 16 to 18 in Shanghai. We took part in the show and had a booth at Secondly market area. The show attracted many people and we also had many visitors and customers, we appreciate you stopping by at our booth. This year we focused on “TransFAB”, relocating whole manufacturing line. We received quite a few requests for TransFAB, compared to previous year. Obviously Chinese market is still demanding. Mo Yi, VP of sales of Intertec Semiconductor Support Center (Shanghai) Corp. gave speech at the seminar hosted by SEMI, with the theme “Dandori”, hoping Chinese customers understand how important to make research and planning in advance when relocating whole line from overseas to China. We keep emphasizing this concept continuously for successful TransFAB to China. Intertec will participate in MEMS show which will be held at Tokyo Big site from July 29th to July 31st. 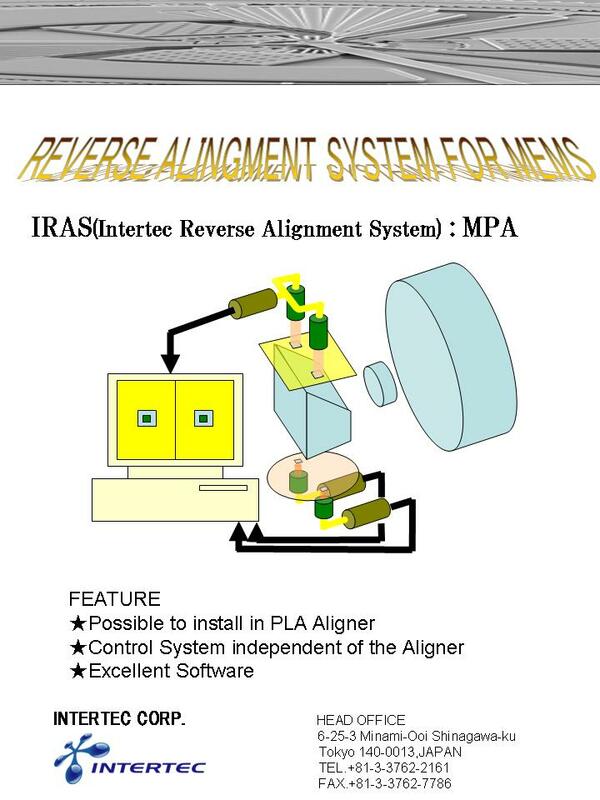 We are going to introduce Intertec Reverse Alignment System (IRAS) which can be easily mounted on Canon mask aligners such as PLA and MPA. 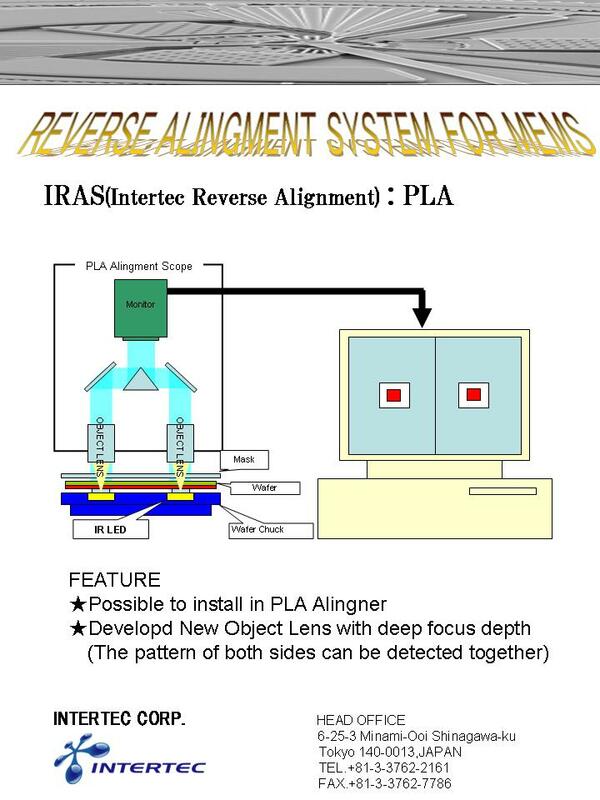 Reverse alignment by mirror projection aligner will significantly reduce damage to the masks. If you have a plan to visit the show please stop by at our booth. 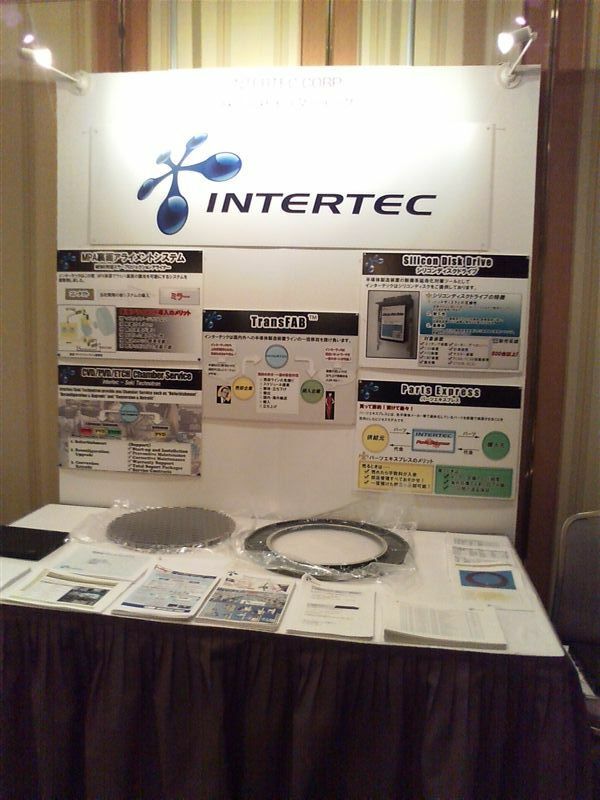 Intertec will participate in Semicon Singapore 2009. 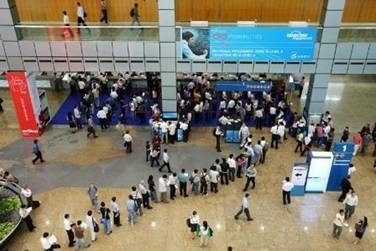 This is eight-time participation in Semicon Singapore for Intertec. We will promote especially Back End tools (ASSY & ATE). 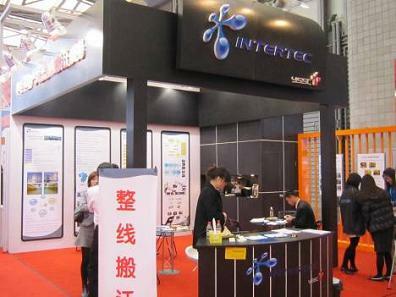 Intertec will participate in SEMICON China 2009. Intertec will participate in Semicon Japan 2008.
at Main booth, and Intertec Reverse Alignment system (IRAS) at MEMS booth. Please stop by if you are coming to the show. New homepage becomes very easy to see because there are 5 business units and you can click and see what you want. ①Search Used Equipment: You can search our SELL information which is daily updated. ③Spare Parts: You can search spare parts at our Parts Express. Module: You can search module SELL information at "Search Used Equipment" page. Please access each page for more detail. We will update news of each item weekly. We participated in ISMI third party resource work show which was held at Shinjuku Hyatt regency. We introduced parts resources thru presentation and booth exhibition. thru participations in such an event. For further inquiries regarding our presentation and parts resources, please contact with our PEX team or your sales representative. Intertec provides total solution for customer's cost reduction by selling and buying used semiconductor equipments and providing engineering service. From SEMICON Japan, we change our company logotype. We will do our best with fresh mind to get customers' satisfaction. The theme of our booth this year is Development and Challenge. Intertec change company logotype, which had been used since establishment. New logotype represents spread and relation of our business including Renovate Sales, Refurbishment, TransFAB, Parts Express and SDD. We will do our best with fresh mind with our new logotype. Maisys Corp. was dismissed. Nisso takes over the business of Maisys. Maisys Corp.(the president is Hideki Sato, head office is in Kumamoto), which was invested 35% by Intertec, was dismissed on January 25th in 2007. Nisso (the president is Ryuichi Shimizu) takes over the business of Maisys. Intertec transferred all stocks owned by Intertec to Nisso but will continue to support that business of Maisys and Nisso. 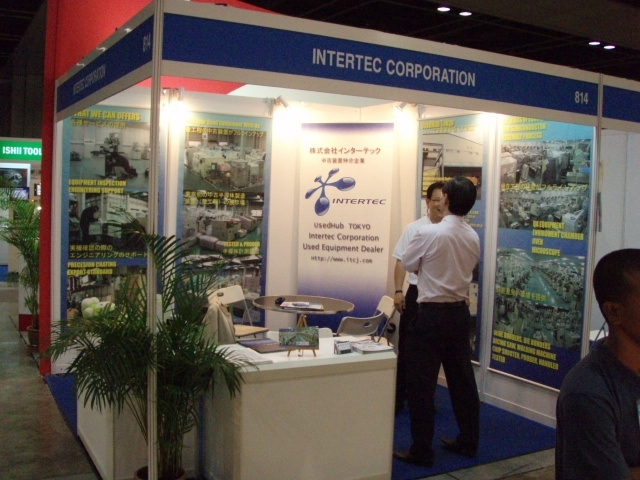 Intertec Corp. exhibits the booth at SEMICON China 2006. We creates new business and posibility in China by establishment of Shanghai Support Center. We exhibit "Brush for CMP" as new item in addition to sell/buy used equipment, refurbishment, spare parts and whole line relocation. I look forward to seeing you at our booth! !